Frederick loves dogs and dogs love Frederick! As a long time resident of Frederick, I have always enjoyed the friendly dogs that I meet while I am downtown! One will see every type of dog from pure bred, and dressed up to the mighty mutt. Stately to slobbery! So, I have decided to share the doggy joy with the blogging world! So look for me around Frederick with my camera! Hi Friends! 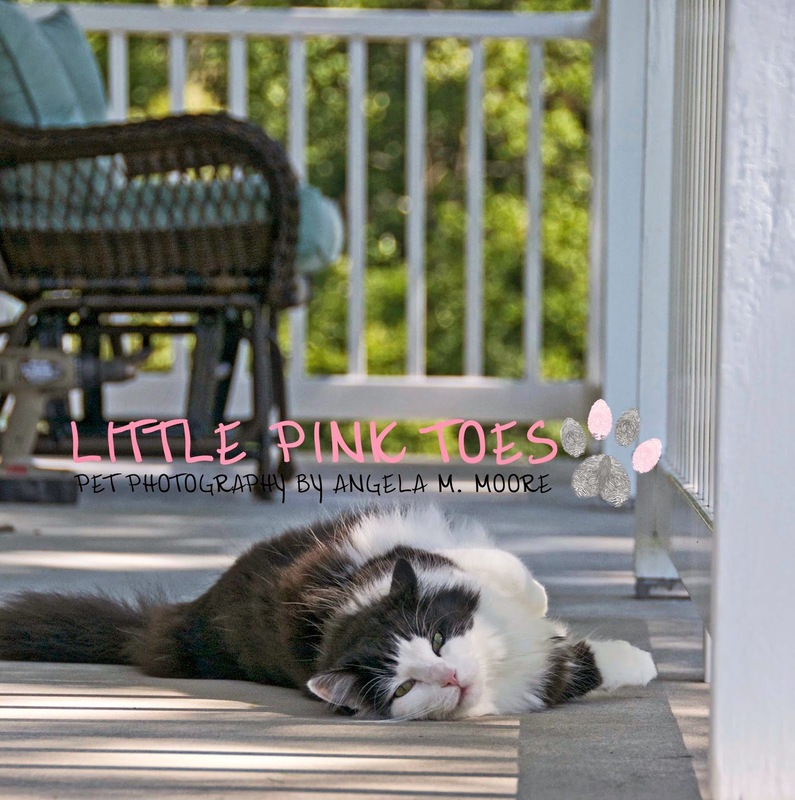 I can't resist showing you this fluffy, black and white cat enjoying the morning sun on his front porch! He is loving this weather! Isn't he beautiful! I'd like to sit right down and enjoy the day with him! 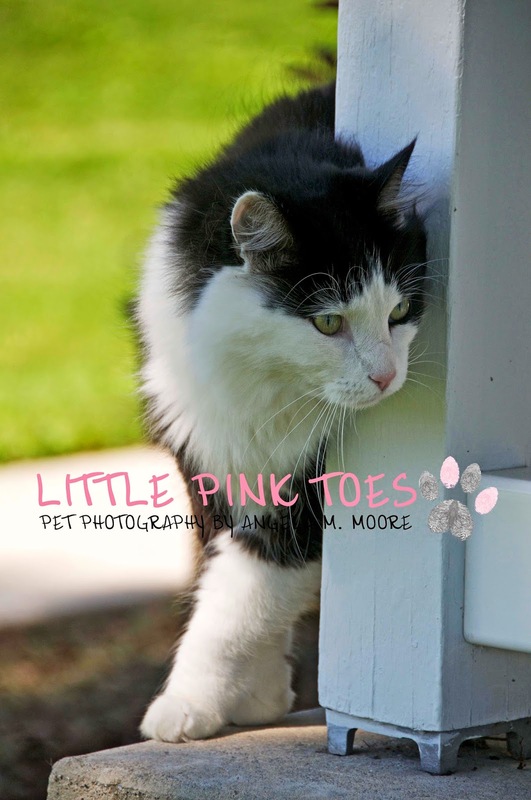 A nice lady in Myersville, Maryland had me out to her farm to talk about my Little Pink Toes Pet Photography business and I couldn't resist taking these even before our actual session! 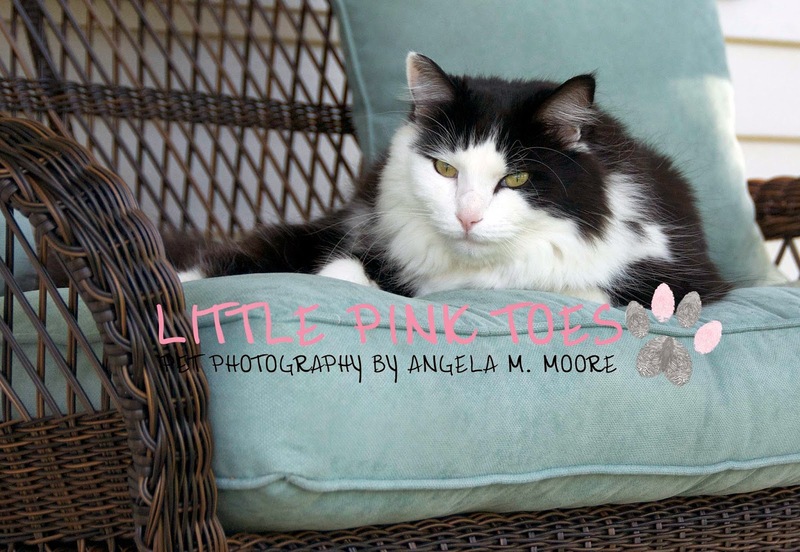 She is interested in photographs of her with her cat, rabbit and horses! Happy Friday! Visit My Other Blogs and Websites! © Angela M. Moore. All rights reserved.. Simple theme. Theme images by UteHil. Powered by Blogger.